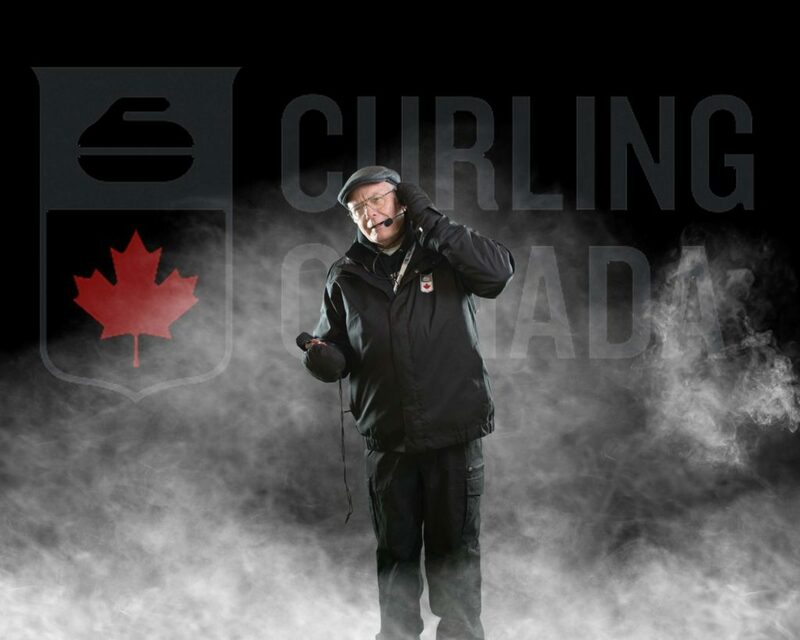 When Lorne Boulter got the call to umpire at his first national curling championship this fall, he jumped at the chance. 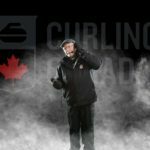 The New Brunswick club curler has decades of club curling experience and has an affinity with fellow curlers. He’s a Level 3 certified umpire. The 64-year-old is also battling colon cancer. “I’m not a guy to sit around and mope. To tell you the truth, I wanted to stay active. 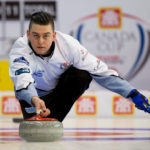 My friends like me better when I’m out and active too,” Boulter said after the conclusion of umpiring the 2018 Travelers Curling Club Championship in Miramichi, N.B. Boulter, wearing his black newsboy hat, microphone headset and many layers of warm clothing, sat quietly on the back boards through 15 draws at the 2018 Travelers Championship. 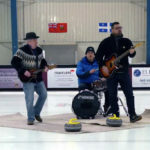 He or one of the six other umpires would sometimes be called upon for rock measurements or rulings but only when one of the 112 club curlers requested their assistance. Umpires are volunteers who often give up weeks of their time to ensure events such as the Travelers Curling Club Championship, Scotties Tournament of Hearts, Tim Hortons Brier and other championships run smoothly. Boulter had to reschedule his twice-weekly medical appointments, including his weekly chemotherapy, to ensure he could assist with this year’s tournament. 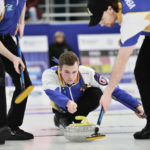 Unaware of his health battles, players gave a rousing ovation for Boulter and his colleagues during the closing ceremonies at the Miramichi Curling Club. He stresses he likes to stay out of the limelight and give back. It is during these opportunities of connection to the sport and sporting community that he loves, that Lorne feels the most healthy and happy. He regrets not being there to see the hardware handed out in Miramichi as he needed to return to treatment during championship weekend but he did so with a greater appreciation for the sport and the grassroots players who make up the game. “Everyone was so friendly. Nobody questioned our authority and those were long days. 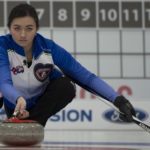 I never saw a frown or an unhappy person and it just reinforced what a great game curling is, not just for the competition, but for the comradery at club events,” Boulter said after putting in five days of 12-hour shifts. Diagnosed with cancer in 2016, Boulter is in the middle of his fourth round of chemotherapy and has undergone three surgeries after the cancer spread. His illness prevents him from curling but has not stopped him from remaining active locally at the Gage Golf & Curling Club in Oromocto, N.B. He encourages everyone to go for their annual physical and he has advice for anyone looking to get more involved in the sport. 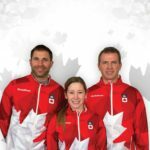 The husband and father has more volunteer events scheduled for the 2018-2019 season, including plans to umpire at the World Junior Curling Championships in Liverpool, N.S. in February 2019.